So anyone traveling to Bali or Indonesia? Trust me; you will thank me afterwards if you are a foodie like me… Bali is a food heaven where you can find excellent dishes to satisfy every budget and every taste bud. Whether you choose to eat in a five star hotel restaurant or a small road side bamboo café called “warung”, there are plenty of options to have real cheap, organic, naturally yummy Balinese food dishes. 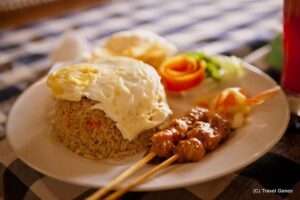 It’s the national dish of Indonesia which basically means “fried rice” in local language but it’s actually much more than that. Spiced with sauces and mixed with veggies, shrimp or chicken; it comes with a fried egg on top. And don’t forget to put SAMBAL sauce all over it. 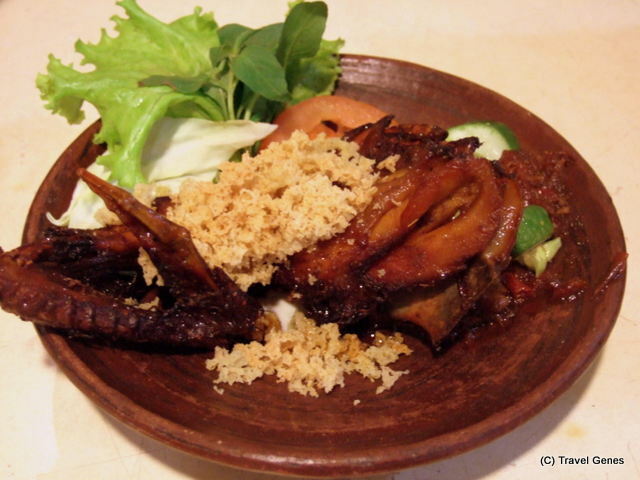 It’s the dish which defines Balinese cuisine and it’s being voted second most delicious dish in the world by CNN 2011 poll. 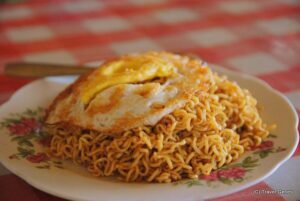 This is similar in taste as Nasi Goreng, but with noodles instead of rice. Never forget to top up with Sambal sauce. Funny name but served with most tasty pea-nut sauce. It has steamed veggies covered in tasty peanut sauce served with some kind of tasty chips and a boiled egg. If you like it “saucy”, this one’s for you. Ok, this is beer, and this is delicious and cheap beer, and you can buy it almost anywhere and drink it in the pool or on the beach on lazy sunset watching or in restaurant with food. And it’s a very mild beer compared to Indian standards so don’t count your bottles when you are in the mood. 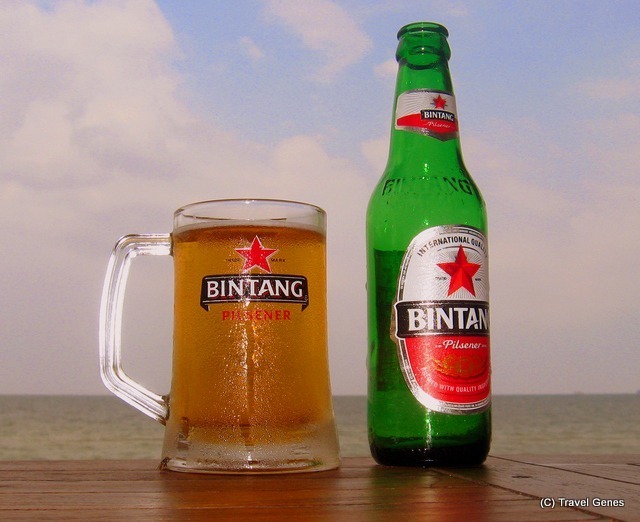 But one this is for sure that you’ll be wearing a Bintang T-shirt soon. Also spelt as SATE, it’s not only famous in Bali, but also in most of Southeast Asia. It has many similar variations such as Indian Seek Kebab or South African Sosatie. 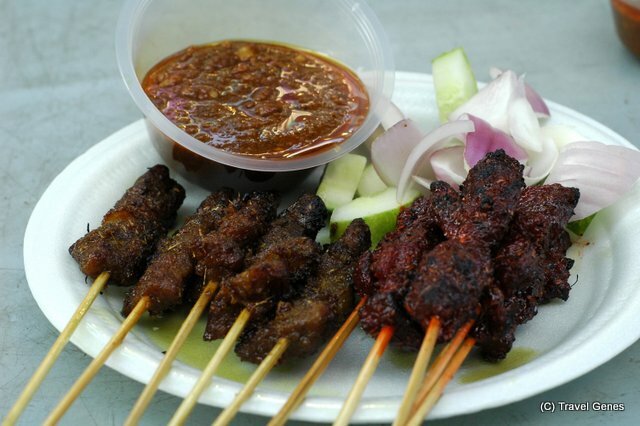 Satay consists of skewers of meat flavoured with spices, grilled or barbecued.Meat placed on them varies mainly chicken, pork and mutton are most common. 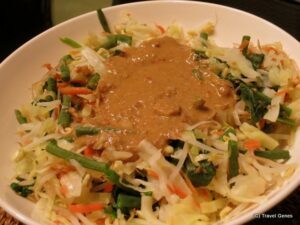 The side platter includes spicy peanut sauce, rice cakes or servings of cucumber and onion. 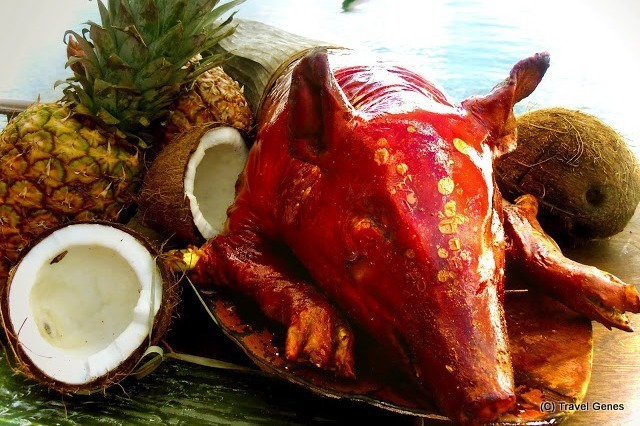 Roasted suckling pig is a great favorite amongst the Balinese, although the pigs are usually too old to be suckling – from three to six months old, they are stuffed with spices, tied on a wooden pole and turned over a fire of coconut husks and wood for one or two hours. Although chicken dishes are not very popular there as compared to pork and mutton but you can find few chicken dishes too in the menu such as Rice Chicken. This is again something you can’t find out until you land up in Bali. You can’t even think the different types of tea that are available here till you try them. Many tea-testing sessions are organised in shops and malls free of cost where you can try different tastes and then buy as you like. Varieties include Lemon-grass tea, Ginger tea, Red Rice tea, Rosella tea, Ginseng tea, Vanilla tea etc. Tuak is native alcohol made by cutting the undeveloped flower of either the coconut or the sugar palm tree. 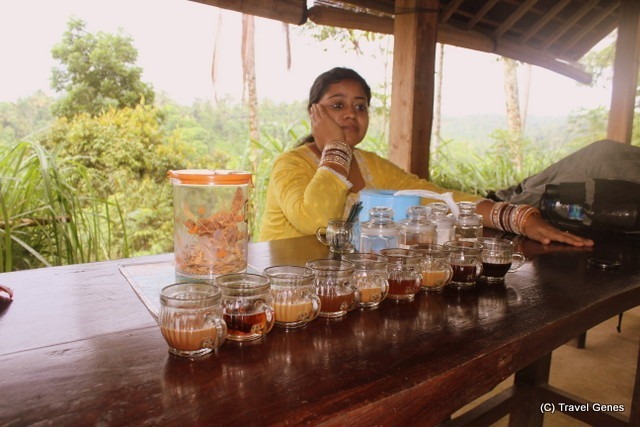 The sugary liquid that exudes is collected into a bamboo container and fermented. Arak is distilled tuak. It has a much higher alcoholic content and is colourless. It has a very sharp, biting taste. Since there is no fermentation, it can be bottled and sold. As the taste is unpleasant, the Balinese mix it with spices. It can also be added to coffee. Arak is used as an offering in religious ceremonies. Having no sugar content, Arak will keep indefinitely, unlike tuak. The locally distilled rice spirit Arak is freely available around Bali but badly-made Arak is deadly. An error in the distillation process can add deadly methanol to the brew, and an adulterated drink is indistinguishable from the good stuff until it kills someone. A number of tourists have been killed by bad Arak over the past few years. Coffee here is called “Bali Kopi” which is the most expansive coffee in the world. It is a powdered coffee that is simply mixed with hot water, and is usually pretty terrible. Make sure to mix it in hot water and then let the coffee settle before drinking it, and even then it doesn’t really taste like anything of quality. 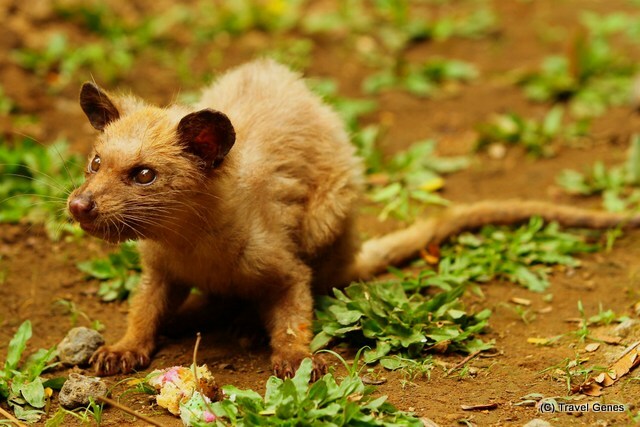 Originally Kopi Luwak was made from beans found in feces from civets living in the wild, making the collecting process quite time-consuming, which explains why prices can get close to 1000$ for a kilo of Kopi Luwak. Now a lot of Kopi Luwak comes from civets in captivity, which raises some ethical issues and shouldn’t taste as good as Kopi Luwak from civets living in the wild as wild civets apparently are quite picky animals when it comes to coffee and only eat the best berries, which guarantees quality beans quality. 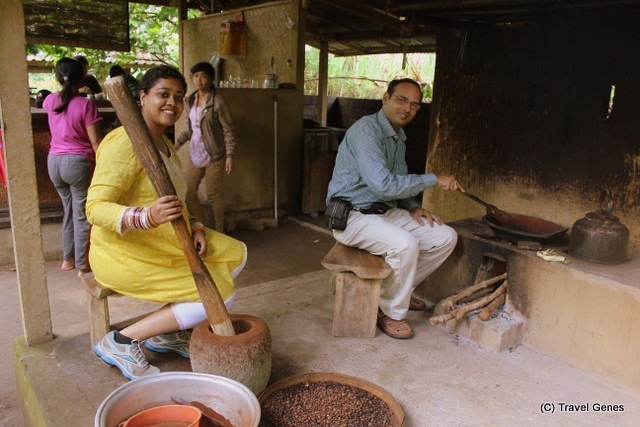 Recently a researcher have suggested the beans are slightly digested during their passage, to the extent that an enzyme process has broken down some of the proteins allowing them to leach out, resulting in a less bitter coffee. Speculation is also there that lactic acid fermentation may be a factor; however any attempts at trying to mimic the process have so far failed. 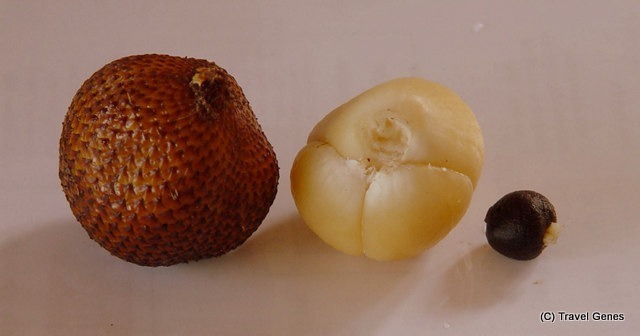 To read more about Luwak Coffee, read Kopi Luwak : Would You Drink Most Expensive Coffee ? It has reddish-brown scaly skin, which resembles the scales of snake. It is the famous sweet but it can also be pickled, dried, fried, or boiled and made into a sweet spread. Farmers also ferment them into a strong honey-colored wine. Anyone who has been to Bali will surely say that Jimbaran is the place to go to for a good seafood fix. 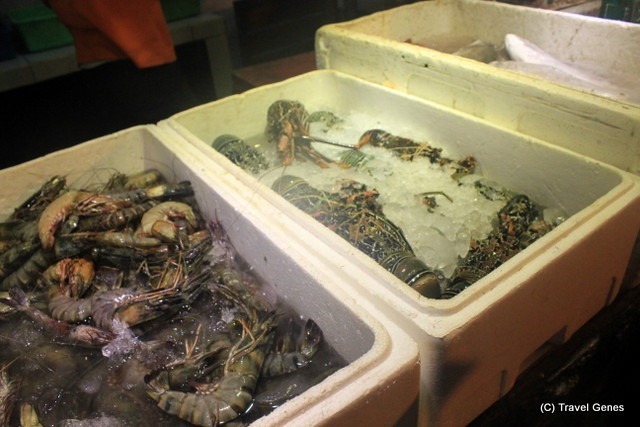 Whether you wish to have jumbo prawns, crabs, lobster, squids or clams: just desire and you will get. Mostly sea food joints keep aquariums where you can pick and choose your food live and then it will be killed and cooked for you while you enjoy the sun setting down in the Bali Sea. So I’m pretty sure that you got the idea why Bali is called “Paradise On Earth”; there is much to enjoy in Bali- cuisine, it’s beauty, it’s people and everything. These 13 Balinese food dishes and drinks will make your trip a memorable one forever. This entry was tagged Asia, Bali, Food, Review. Bookmark the permalink. “: 13 Foods You Can’t Miss In Bali – http://t.co/LPWNhwNXo3 http://t.co/p0slwl3Qfv” I miss food in Bali!! We actually tried some of the foods after reading ur post & liked them too… only issue was the cooking oil they use in bali which gives you an after taste…nice writeup! Good to know that you referred our post… & yes cooking oil is either fish oil or coconut oil which gives the food a little tangy taste and smell… but there are multiple options to try in Bali when it comes to food… Thanks for reading!